Kerry Strayer was born and raised in Fairbury, Nebraska. He attended Doane College in Crete, Nebraska. He completed a Bachelor of Arts degree. In 1982 he moved to Kansas City to study saxophone with Tim Timmons at the University of Missouri-Kansas City Conservatory of Music. 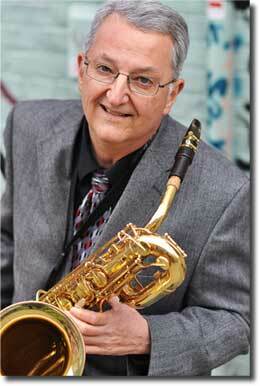 He earned a Master of Music degree in Saxophone Performance in 1985. Since that time Kerry has been active as a saxophonist. He has also been a recording artist, band leader and composer. Kerry Strayer serves as arranger, adjudicator and private instructor as well. He currently leads five performing groups. Teaches privately from his home.